Before the establishment of the Indian reservations 165 years ago, this country’s Native ancestors had one of the healthiest cultures the world has ever known. They had a deep sense of community and family. They were masters at parenting. There was no alcohol. Poverty did not exist. They took care of Mother Earth, and Mother Earth took care of them. Through each passing generation, however, the voice of the Lakota Way gradually became a mere whisper through the plains, and a people’s culture and identity fell altogether silent. At times, Native Americans have lost their way of life, their beliefs, and their cultural identity. Just imagine—an entire culture being dismantled and left in ruins. Thankfully, though, the story doesn’t end there. There is a movement stirring in the hearts of young Native Americans to rebuild what was lost and revitalize their culture, their families, and their dignity. Kansas is part of this warrior generation, adding his voice to the growing number determined to make a lasting difference. 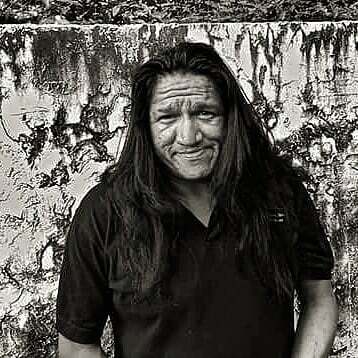 As an enrolled member of the Lower Brule Sioux Tribe in South Dakota and a member of the Middletent Family and the Spotted Hawk Family, he is passionate about the issues facing Native Americans today. For Native Americans, cultural identity is intricately woven into the fabric of their lives...physically, spiritually, and mentally. 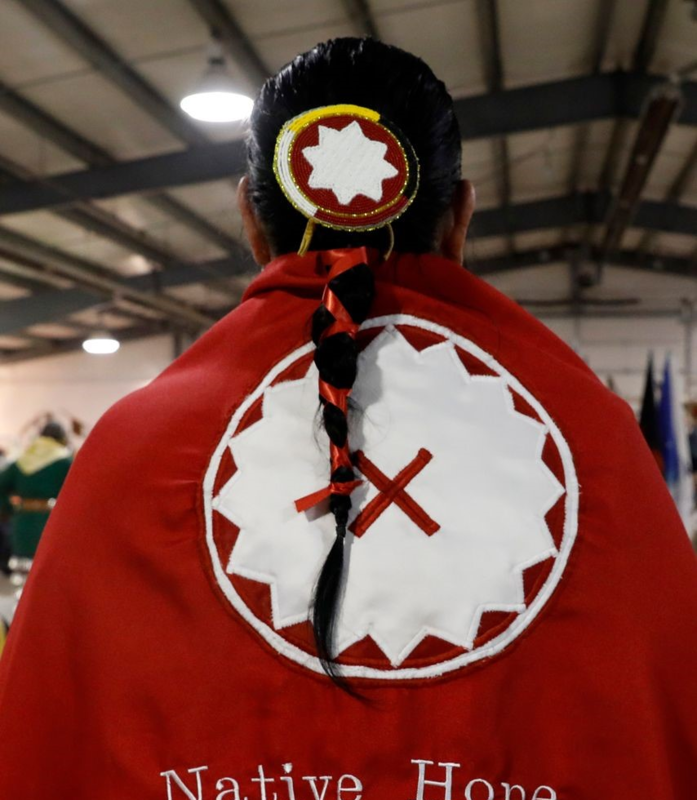 Kansas, for example, uses his long hair as an outward symbol of his Lakota heritage with the presence of two braids, a symbol of strength for Lakota men. For him, they represent his children, “his good medicine, his power,” and what it means to be part of Iron Nation. “I know I’m Native American. I wear my long hair; I’ll wear Native American clothing…I’ll do all that because I know who I am, and that’s what helps me in my life. I don’t try to be something that I’m not. That’s how I find my identity, my spirituality, my culture, my tradition...it’s who we are as people, it’s what’s in our blood,” he proudly states. The conviction Kansas has to bring about lasting change stems from a deep-rooted connection to his ancestors. Crazy Horse spoke about a seventh generation of Natives who would be a blessing to a lost and hurting world. Kansas is part of that generation—a generation who is standing up for what is right, for their people, and for their future. He is using his voice and his story to restore hope back to his community so they may flourish the way their ancestors envisioned. Kansas attributes much of his fortitude to mentors who refused to give up on him as he was growing up and going through some of his darkest hours. Speaking of his mom, Trish Lundell, he proudly states, “She played a huge success in my life with her unconditional love, support, and guidance.” Similarly, he found refuge in his grandmother’s unshakeable support. She was always there to offer wisdom and advice, as well as loving correction. She is pictured here with Kansas and his twin, Kyal. As a result of these influential relationships in his life, Kansas is paying it forward and becoming a mentor himself. 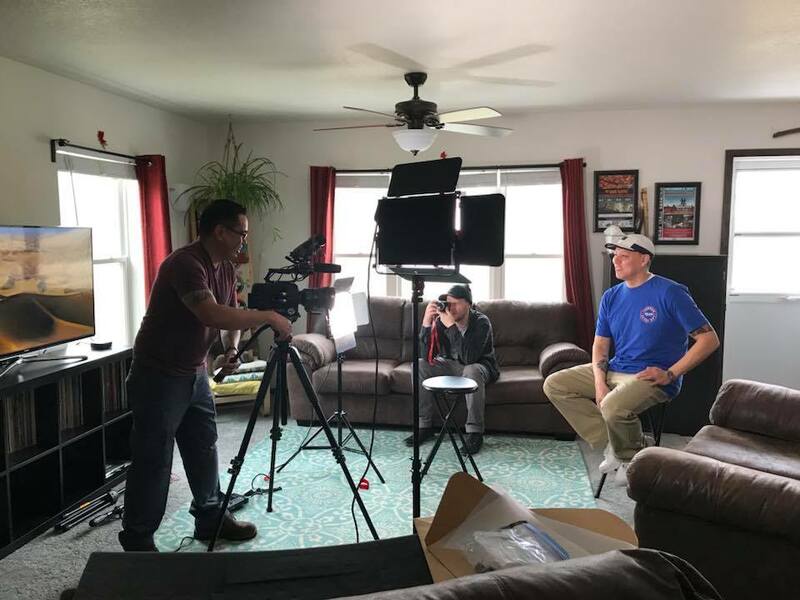 He now works with various organizations within his community to bring awareness and prevention and to promote the importance and value of education within the Native American community. Kansas used to say that he didn’t want his kids to struggle like he did. However, now he admits, “I didn’t recognize that my struggle is what made me who I am. Of course it’s not that I want my kids to struggle, but my focus is to instill in them the integrity to overcome. And that has to be taught by example, not words alone.” This principle is one he’s hoping to instill in the lives of each youth he reaches out to. As far as his future goes, Kansas is excited for what’s ahead. He states, “I have this urge to improve. We all have wounds—very serious, legitimate wounds. But we all have victories, too. I want the strength of my ancestors, but I want to be present in the here and now, and not stuck reaching for the past. Otherwise, I’m no good to anyone in the present, and I won’t bring change to the future." You are invited to join in this movement of hope. With your partnership you will be a part of bringing education, counseling, cultural revitalization and the promise of a future filled with possibilities. Together we can bring tangible change to not only this generation, but generations to come.